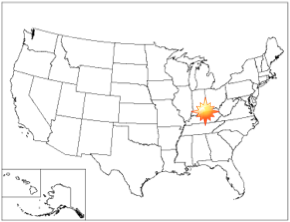 TEF Chemical is located in Louisville, KY giving us a unique access to the entire eastern half of the United States. If you have a bulk chemical need for cleaning, waste water treatment, or even process bound chemicals we may have a product that could represent a significant savings to you. If we don’t currently have a solution TEF has the ability to scour a vast network of contacts to see if we can find a solution that is financially beneficial. Our mission is to seek out your unique solutions. Are you spending untold amounts of money to treat and flush your side stream and off spec material? Let TEF take a look at it and see if we can find a creative use for it. Our aim is to stop wasting material that might have another useful purpose keeping our client Truly Environmentally Focused.